The information has been obtained from personal use (like taking the bus) and is given in good faith. There is NO official timetable. Buses run every day including holidays. Route diagram showing all stops. 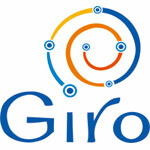 Click the GIRO logo below for a map of town with all routes and stops - external link. Bus stops in Ferreiras map here. All stops are REQUEST STOPS - ring the bell to get off. It is fairly common for non-accessible buses (ie not suitable for wheelchairs) to be used on this route. There is no way of knowing which type of bus will show up. NOTE - the buses call at the railway station only on the WAY BACK from Vale Serves. If you don't want to go all the way along the road and back, it is only 3 minutes walk to the station from the stop at the bottom of the road. ++ nearest stop to old town centre, about 7 minutes walk along the flat footpath. Map. 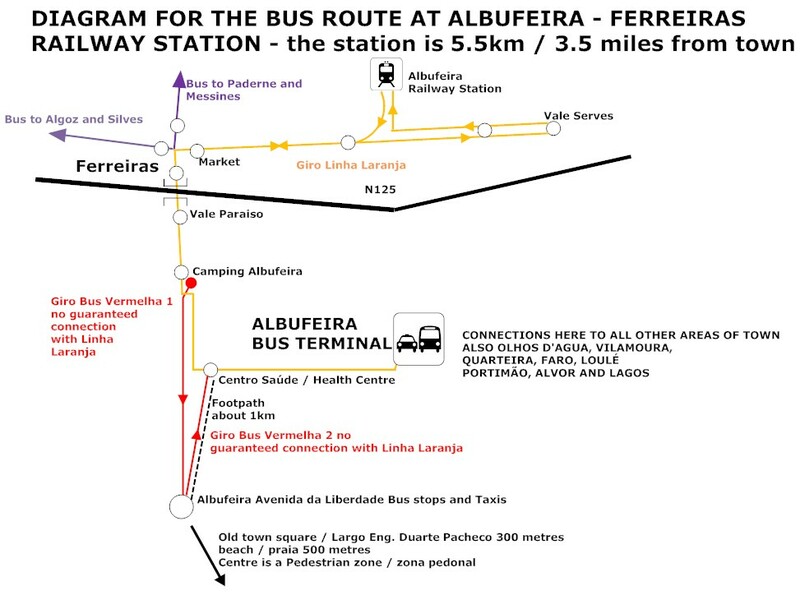 Connection for Albufeira old town - no official timed connections are provided. 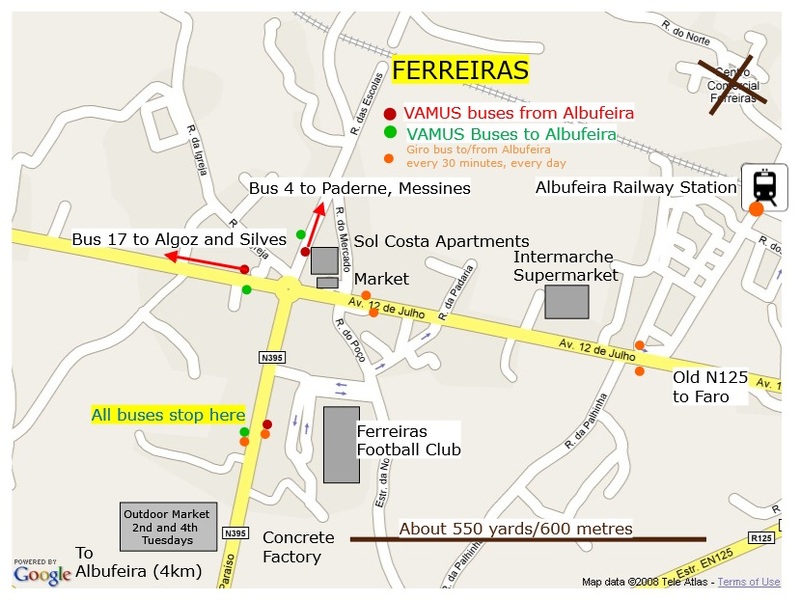 Linha Vermelha 1 buses usually leave Camping Albufeira a minute or two before the Laranja bus arrives. They do NOT STOP until they get to the old town (Centro Antigo) despite what the route map says. (It is this kind of nonsense that makes parts the system of poor value.